Carol Borchardt is a life-long passionate cook whose background in the culinary arts began with instruction from her mother, a prize-winning cook who developed original recipes while feeding their large family. The farm-to-table, free-range and wild-caught concepts so important today aren’t new to Carol–that was her family’s way of life on their picturesque central Wisconsin farm. Cooking was Carol’s creative outlet while living in Wisconsin and working in the business field there for over 20 years. She honed her culinary skills through self-instruction, through classes for the home chef at Jill Prescott’s Ecole de Cuisine in Mequon and through practical experience working for a caterer on weekends. Carol moved to the Memphis area in 1995 and opened A Thought For Food Personal Chef Service in April of 2002. Through this highly personalized service, Carol seeks to bring thought and care back to the home meals of our time-starved society and bring families back to the dinner table. 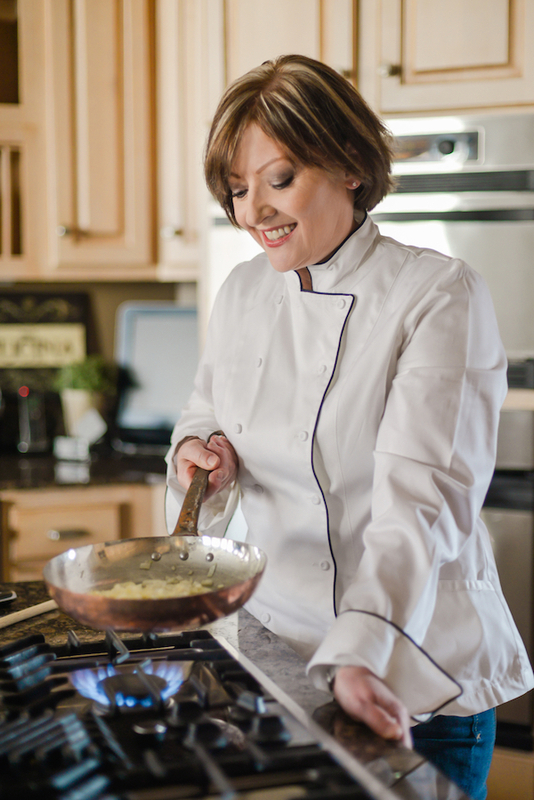 Carol is the only personal chef in the Memphis area with over 17 years of experience providing a wide range of allergy and diet-specific cuisine. Her passion for travel–especially throughout the European and Mediterranean regions–is reflected in much of her cooking. 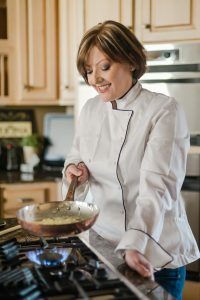 When traveling, Carol immerses herself in the local cuisine with an education that includes week-long training in Italian Gastronomy at the Academia Barilla in Parma, Italy and classes at Le Cordon Bleu in Paris and the Culinary Institute of America’s Greystone campus in Napa Valley. 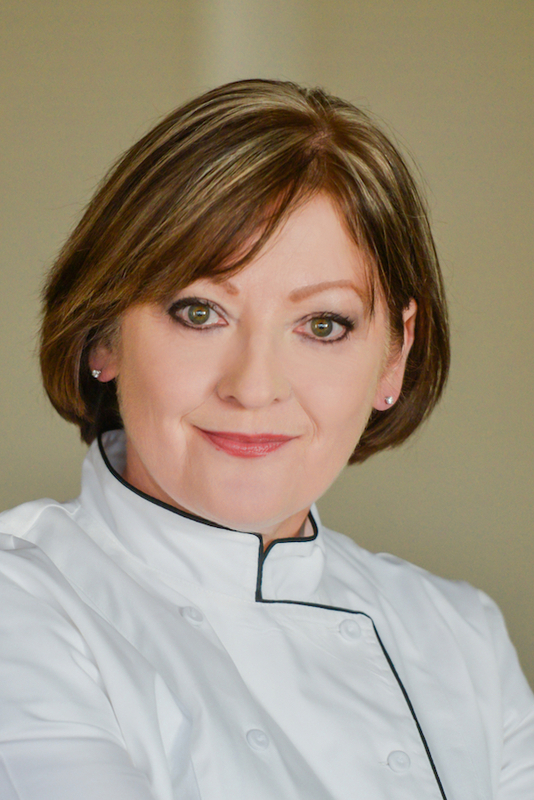 Carol is a member of the American Personal and Private Chef Association (APPCA) based in San Diego and was trained in the personal chef field by their education arm, the APPCA Institute. She helped write the Personal Chef International Code of Ethics, served on the APPCA Executive Advisory Committee and was the 2010 APPCA CHEF OF THE YEAR. She is licensed, insured and certified as a Food Protection Manager through ServSafe™ (the same certification required of restaurant managers). Preserving her family’s food heritage was a life-long goal she recently accomplished with a self-published compilation of recipes from four generations of her family in a cookbook entitled A Recipe Portrait, The Ramczyk – Platta Collection of Recipes. Carol loves to create original recipes just as her mother did. Five of her original recipes are in The Fresh Market and Friends 25th Anniversary Cookbook. Her column “Dinner For Two,” enjoyed a six-year run in The Commercial Appeal’s Food Section. She now shares her creative recipes at her blog, From A Chef’s Kitchen. “Without a doubt, what I love most about being a personal chef is when my clients tell me they can feel the love and care that went into what I prepared for them and what a positive difference I make in their lives,” Carol says. Testimonials from clients are available here with additional references available upon request.